The neighborhoods include Central and West Harlem; Crown Heights, Bushwick, and Bed-Stuy in Brooklyn; Jamaica in Queens; and Tremont in the Bronx, among others that have recently experienced gentrification. Booming real estate markets have caused landlords to try to move low-income tenants—sometimes through any means necessary. During Mayor Bloomberg’s administration, the number of homeless people in New York more than doubled, from 25,000 to 53,000, and de Blasio is focused on stabilizing if not increasing the supply of affordable housing by preventing evictions, harassment, and even buy-outs. But retaining affordability requires current tenants to stay put. “When we lose a unit of affordable housing, in too many cases, that’s forever. It’s never coming back,” the mayor said. The officials announcing the program were careful not to label the program as a measure to block gentrification, but they did say that every time an affordable housing unit is vacated, it is at risk of being converted to market-rate housing, which in New York means it will be placed out of range for many. 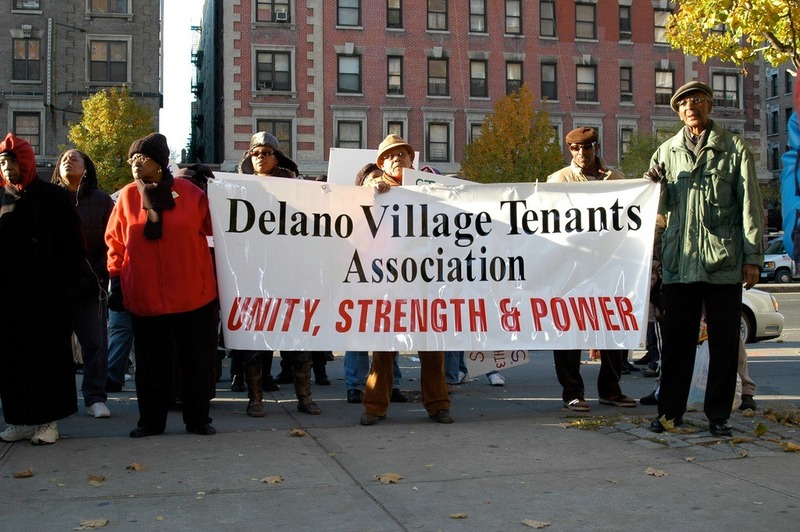 The new fund adds to the money in another initiative protecting tenants from landlord harassment in neighborhoods experiencing rezoning, for a total budget of $46 million this fiscal year and $61.8 million in the next fiscal year—ten times what the pool was in 2013.